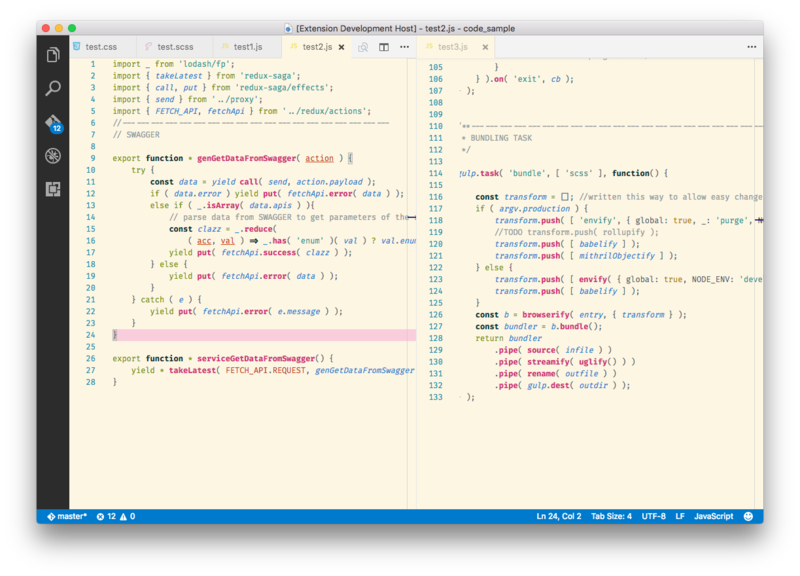 Visual Studio Code>Themes>Solarized-light-fjsNew to Visual Studio Code? Get it now. All functions in the code clearly stand out with the light theme. Share your thoughts/suggestions/comments about it on twitter @veggiemonk or on github. You can even load it directly from the url.